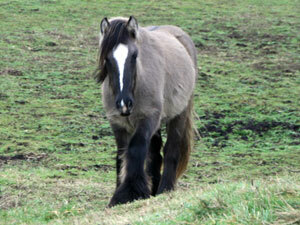 Below you will find the current Mares that Gypsy Horses have for sale. If you do not see a suitable horse, please do not hesitate to contact us and we will endeavor to source your requirements. 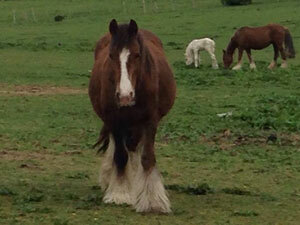 Coates Lady Camella is a chestnut and white PEARL 4 year old mare. She is out of Coates Poppy and by Camella Boy Warrior who is now sadly deceased. Scanned in foal to son of, Coates Tickled Pink', solid cremello stallion, 'Coates White Knight', so she is due a palomino or palomino pearl foal for 2019! Coates Secret Shades is a very very rare grulla dun mare (dorsal stripe). 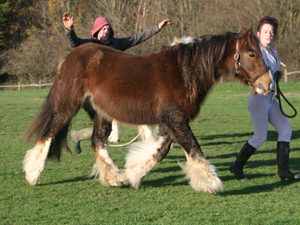 Out of Coates Shady Lady (now deceased - who is the Mother or in the pedigree of all of the top grulla duns known in the breed to date - there are very few) and by Mosey (fourth pic), solid black beautiful heavy proper gypsy cob stallion. Sister to Coates Rascal now at stud in USA and the leading Dun Grulla stallion out there! In foal to solid cremello son of Coates Tickled Pink, Coates White Knight for 2019! 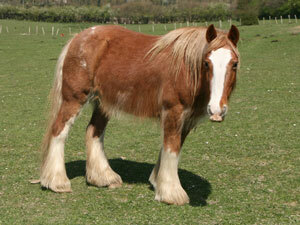 This lovely mare has a super sweet temperament and gets along with everybody - 4 legged and 2! Jane is a very heavy chestnut mare with flaxen mane and tail. Jane has produced a palomino and white filly with us last year but we left her open for this year as it becomes too late. Jane is currently running with our super heavy cremello stallion Pinky (see fourth picture) so expected to be in foal for 2016 but obviously can be scanned prior to sale. Jane is suitable as a broodmare or for somebody who has time to work with her as she has not been handled a lot and is green as a result. This is reflected in her price but she really does produce wonderful foals so is an asset to a breeding farm. The legendary Mulberry mare foaled a solid palomino colt by Pinky. Sure to be as heavy as they come like his full sister from last year. Can be purchased with his Mum back in foal or on his own. A super pair. Pictures of her colt to follow and full sister (Coates May) if required. Mulberry mare is a 14hh rich mahogany chestnut mare who is scanned in foal to a SOLID CREMELLO son of our super heavy cremello stallion 'Coates Tickled Pink'. In 2014 she foaled an outstanding solid palomino filly called 'Coates May' also to Pinky! See fourth picture. 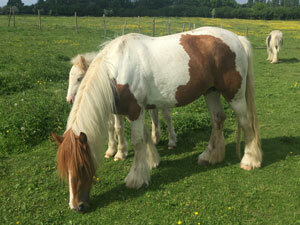 Mulberry is a very very calm natured mare, and very traditional in quality and type. Alongwith all of this she passes on impeccable quality to her foals. She is a true asset to any breeding programme. 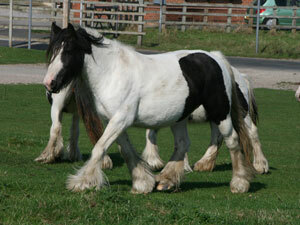 Jessie J is a lovely black and white very traditional mare.